For a person who has hearing problems, life can feel overwhelming. Along with asking others to repeat themselves, they often feel as if hearing loss makes them appear old and helpless. And to make matters worse, those needing hearing aids may find the prices to be so high they cannot afford what they need, compounding the problem even more. In fact, according to a recent survey conducted by Consumer Reports, 71% of those in need of hearing aids put off buying the device they needed for an average of two years due to high costs, with the average person spending $2,710 on their hearing aid. If you are in need of a hearing aid but are wanting a more affordable option, here are five budget-friendly ways to buy hearing aids. For many people, hearing aids may be paid for in full or in part by their health insurance. For example, military veterans can often qualify for free hearing aids through the Department of Veterans Affairs. For other individuals who may be on Medicare, many Medicare Advantage plans offer partial coverage for hearing aids. As for private health insurance, Aetna and other companies offer discounts if hearing aids are purchased through specified suppliers. And if you have a health savings account through your employer, this money can be spent to purchase hearing aids and batteries. When looking for hearing aids, many people fail to realize certain retailers may offer these products at substantial savings. For example, Costco offers free hearing screenings at certain stores, and is known for selling high-quality hearing aids ranging in price from $500-$1,500. For others, shopping on Amazon or other reputable online sites sometimes yields good deals on hearing aids. However, if you purchase hearing aids online and then need adjustments, you may have to mail them back to the manufacturer, which could take weeks before they are returned to you. 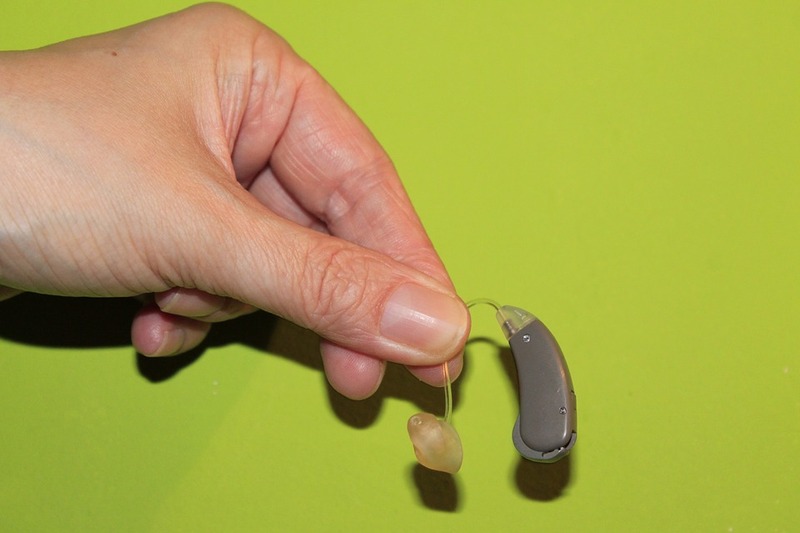 Before buying any hearing aid, it is important to know the extent of your hearing loss. If your problems are considered to be only mild or moderate, you may be able to bypass traditional hearing aids and instead purchase over-the-counter hearing helpers, more commonly called personal sound amplification products. Looking like traditional hearing aids, they are often rechargeable, convenient to use, and cost only about $500-$600 per pair. Therefore, by visiting an audiologist first to determine your level of hearing loss, you may be able to substantially save on your hearing aids. When you visit a hearing center for a hearing exam, don’t be shy about trying to negotiate the price you will be charged for your hearing aids. While not all places will be willing to engage you in negotiations, many often will. By taking this approach, you may be able to convince the audiologist to separate the cost of the hearing aids from those fees associated with fittings and other services. If you are successful, chances are you will be able to save hundreds of dollars. In almost all communities, there are various service groups that aim to help those in need of various services, such as hearing aids. For example, many areas have a local Lions Club. By contacting this group, you may be able to have your hearing aids paid for or discounted to a price you can more easily afford. For seniors, being a member of AARP can often be a way to receive discounts for hearing aids. Additional resources in many communities include the Agency on Aging, Salvation Army, and local social service departments. By investigating the possibilities, you may find there is far more help available than you imagined. Rather than sit around and let your quality of life diminish, it is best to pursue these and other options in your search for affordable hearing aids. By taking the initiative and not stopping until you are offered a reasonable deal, you will soon rediscover the joys of hearing even the most common sounds.